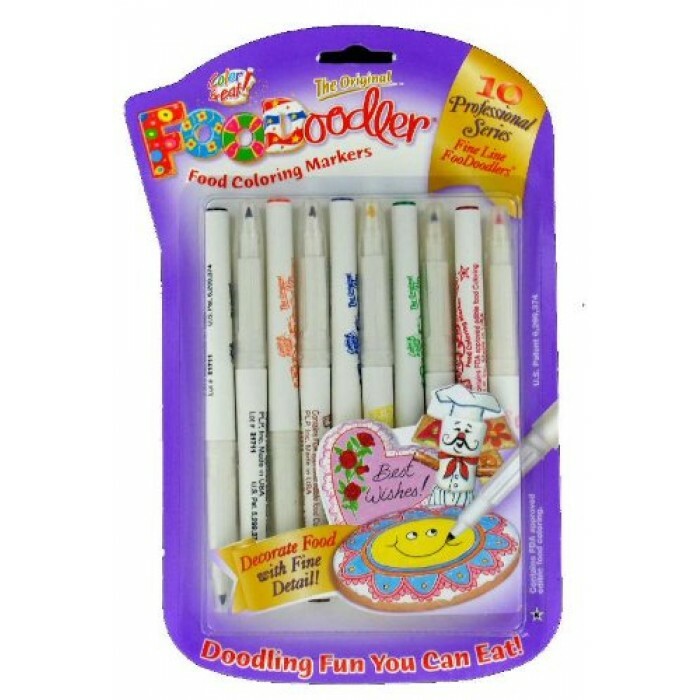 This package contains 10 Food Coloring Markers, Fine Line, by FooDoodler. Great to use with cookies and cake decoration. Colores included are: 2 black, 1 blue, 1 green, 1 pink, 1 brown, 1 yellow, 1 red, 1 orange and 1 purple.